Still, even on these other kinds of trips, hotels like Hilton Garden Inn do their best at helping me balance wellness and relaxation with my travel to-dos. From a fitness center where you can work out your day’s frustrations to crisp linens and duvets that refresh you for the next day, where you stay on a trip definitely can impact your health and travel enjoyment. To amp up the relaxation factor on my next trip, I’m planning on packing a few of these travel-friendly gadgets sure to help me find a little bit more health, balance, and Zen on my next vacay. Sure, I probably won’t be at a spa, but with a few of these fun travel accessories I might just be able to fool myself into forgetting that. Without fail, hotels where we stay always seem to have better bedding than I have at home—which wah-wah. 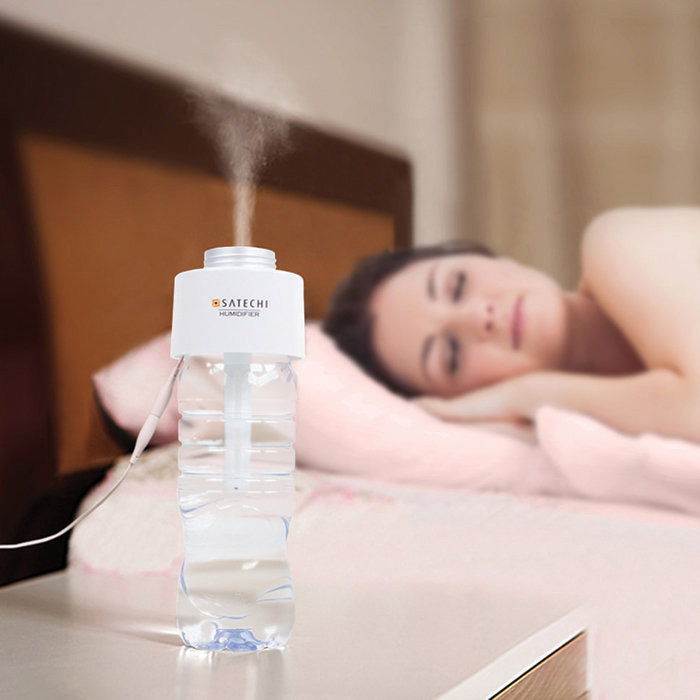 But I’m a stickler for controlling the humidity when I’m at home, which is why this portable humidifer is so genius. It plugs into the wall and attaches to just about any size water bottle to transform it into a travel-sized humidifier. That means that instead of waking up red eyed and scatchy voiced, I can ensure I’m hydrating while I sleep and wake up relaxed and ready for the day. Here’s what I’ve learned about traveling with my family and, heck, about traveling in general: Things are unpredictable. Admittedly, that’s half the fun, but that also means I’m looking for multi-tasking gear that can go with the flow and help keep my type-A freak-outs at bay. Enter the Turkish towel. 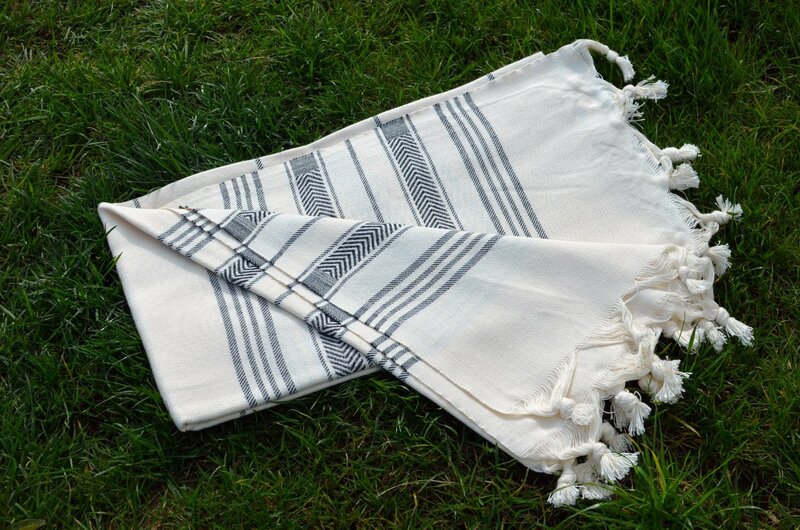 Lightweight, portable, and über soft, this “towel” can be used as a cozy layer on a chilly plane, a blanket for an impromptu picnic, a towel for some can’t-pass-these-up hot springs on a hike, a pool sarong when my littles are hungry again and the ice cream truck goes by, or a yoga mat that lets me downward dog in my hotel room entryway while my kids sleep. Warmth, comfort, convenience, and a cute print to boot make this a must-have travel accessory. An essential oil diffuser is just about one of the first things I throw into my luggage when I’m headed on a trip. I bring along one of the oils I use most at home and it instantly fills my hotel room with familiar smells. I love that it’s small and compact yet can easily fill a hotel room with the sweet smell of fresh citrus or calming lavender before bed. 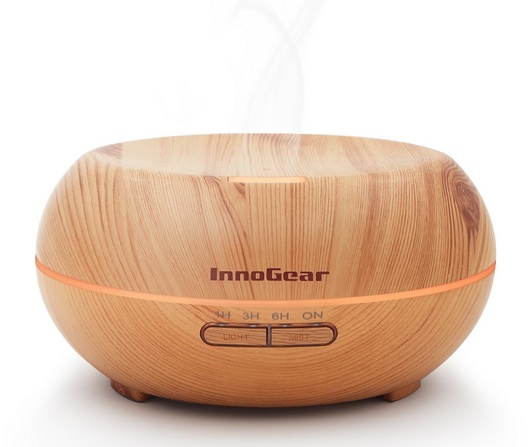 The diffuser has two mist levels and four timer options as well as an auto shut-off feature to ensure the diffuser won’t keep running if it runs out of water while you sleep or are off to dinner. 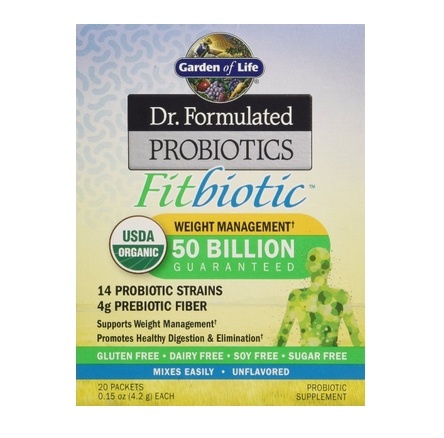 Probiotics have now been shown to have a major impact well outside of the gut. From improving my mood and helping me sleep, to getting my skin glowing and warding off sickness, probiotics are one of my secret weapons I definitely don’t want to be without when I’m taking on travel challenges. For probiotics on-the-go, I love a travel-friendly option like these single-serve probiotic packets. The powder packets would be easy to keep in my purse or suitcase, and since they are unflavored it would be simple to mix into whatever water/iced tea/smoothie I happen to be drinking. Having kids has taught me many lessons, but one is this: Take a nap whenever and wherever you can get it. Maybe it’s forty-five minutes in the car while the kids are enthralled with Dora or in the middle of the day at the hotel when your spouse offers to take the kids to the pool for a bit. Whenever I get a few minutes to catch up on zzzz’s, I know an eye mask will help me get off to la-la-land ASAP. 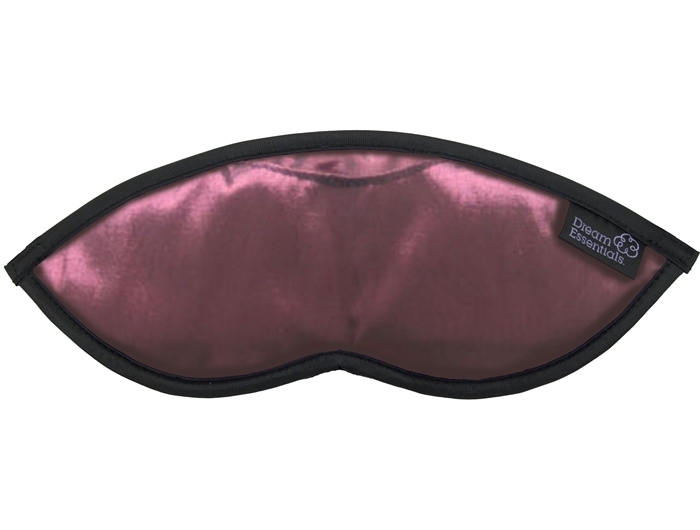 This sleep mask uses a one-two punch of blocking off the light of the world plus an included lavender and chamomile mix herb sachet that slips into the front of the eye mask to help quiet my mind and soothe me to sleep—even if it is just for twenty minutes. I know these might look like torture devices, but these little balls are about to change your life. Picture this: You’ve spent the day on your feet, running around an amusement park with your kids. Or maybe it was six hours crammed in a coach seat on a plane or in the backseat of a car between a baby seat and suitcases. Whatever my travel day has held, my feet just about audibly sigh with relief when I give them a roll on these reflexology balls. 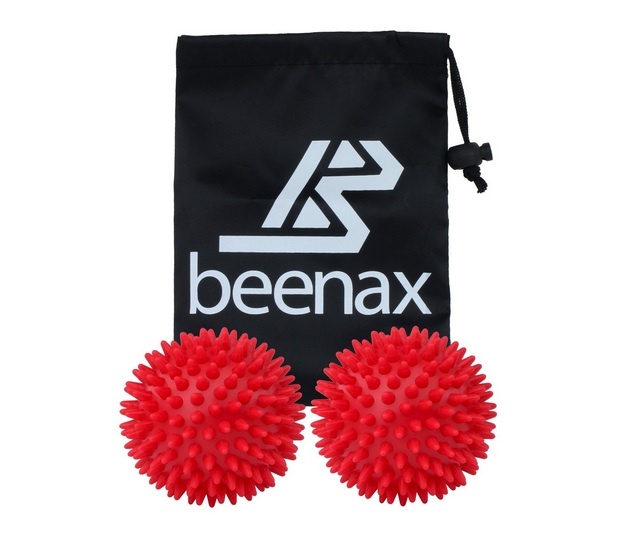 Portable and easy to pack, these massage balls can be used on your feet, back, neck, or scalp to roll away the travel tension of the day. When I don’t want to spend $3 for bottled water or gas station soda, I’m going to be glad I remembered to pack some of these water enhancers. 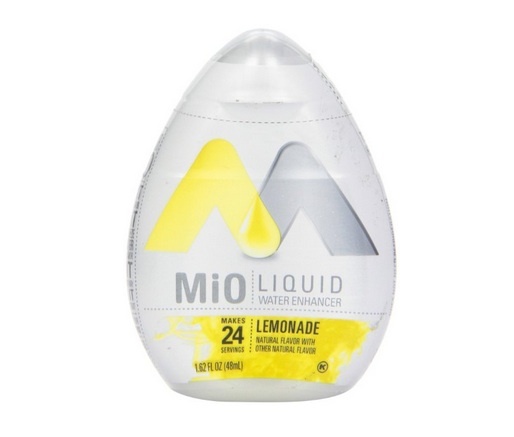 With no sugar, no calories, and fun flavors like Mango Peach, Cran-Raspberry, and Blueberry Lemonade, I’ll be able to tolerate hours on the road while still ensuring I stay hydrated. You know how moms always have time to sit around and pamper themselves? Ah, yeah—me neither. But often when we’re staying in a hotel, there’s that moment where the kids are asleep and I find myself with an hour or two to kill before I get sleepy. In addition to aimlessly clicking through five gazillion channels, I’m hoping I can squeeze in one simple luxury: a single-use face mask. 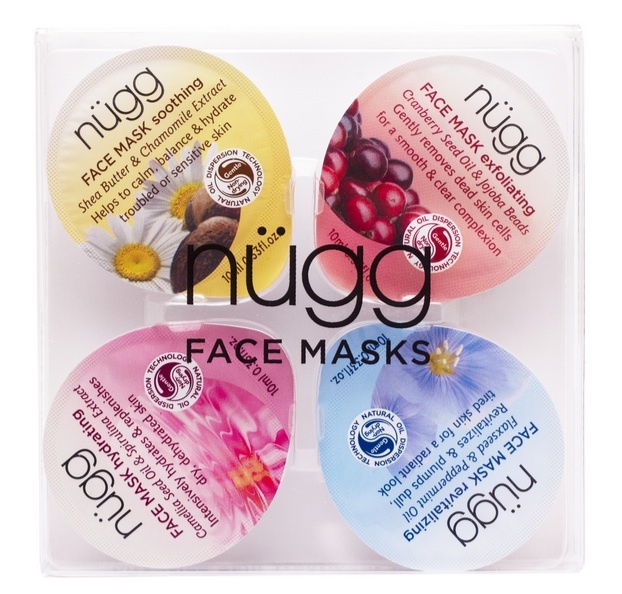 Whether I need to soothe my skin (and my mood) with a calming mask or exfoliate off the gunk (and mental funk) of the day with a revitalizing one, these easy-to-pack mask pods would do as much for my soul as they would for my skin. 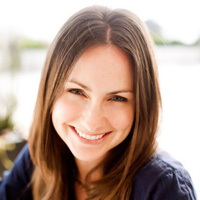 I’ve only recently started to use essential oils but have been impressed with how they can help me and my family deal with seasonal allergies, afternoon stress, and middle-of-the-night mind whir. 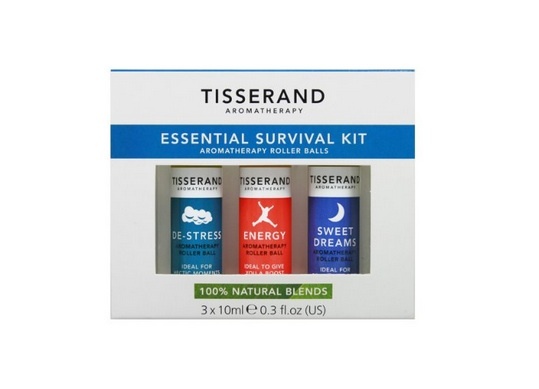 Traveling with a bunch of glass bottles full of oils isn’t super convenient, but with a travel essential oil kit, I can have three roller bottles ready to easily apply to temples or wrists with oil blends designed to help me keep my calm. Whether I need to energize for the day ahead with a blend of orange, lime, and grapefruit; de-stress with a calming collection of orange, geranium, and nutmeg; or soothe myself to sleep with lavender, jasmine, and sandalwood, this trio won’t let me down. Traveling has the ability to throw everything out of whack. Whether it’s that two minute daily plank habit I’ve been trying to build or just remembering to drink enough water during the day, getting out of my daily routine can easily derail the healthy habits I have at home. Luckily, with the free Balanced app on my phone, I can get gentle reminders of the tasks, behaviors, and attitudes I’m working on. 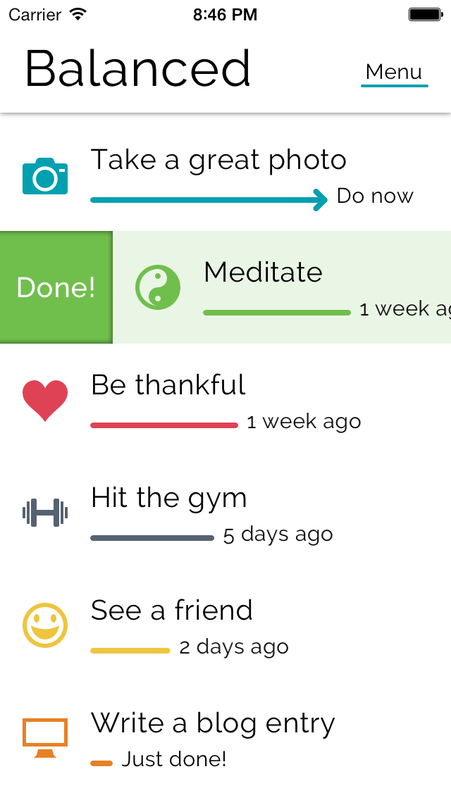 Instead of making me feel guilty for missing a meditation session yesterday, Balanced motivates me to want to try to hit my daily, weekly, or monthly goals with fresh energy today. Now if only the app could do something about throwing off my kids’ sleep schedules when we travel…. My body and mind always thank me when I make time for yoga, but I’m not experienced enough to remember all the moves on my own. When I’m on the road, this handy Yoga Fan would be the perfect companion. Small enough to tuck into my suitcase and conveniently connected so I don’t risk losing my favorite card, this collection of yoga poses and meditations will help keep me grounded and calm—whatever travel throws my way. Plus, it can double as a kind of modified Twister game when I let my kids give the poses a go. One of my favorite things about staying at new hotels when we travel are the bathtubs. My bathroom at home is tub-less, and so staying somewhere with a clean and kid-free tub is a true treat. I can up the bath enjoyment ante even more with a bath bomb. 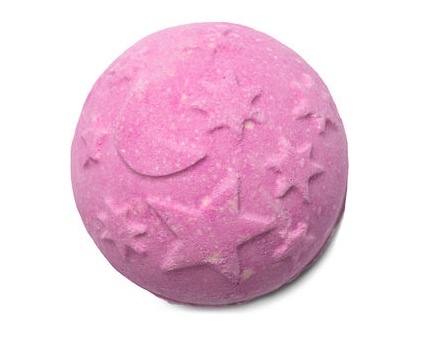 Easy to pack, these balls are filled with essential oils, flower petals, and relaxing bubbles to make bath time about more than just getting clean. The perfect end to a day should include me snuggled into a cozy bed I didn’t make, next to the people I love most, with a glass of red wine and nibble of dark chocolate. Studies have shown the mental health benefits of dark chocolate, but really, that’s just frosting on the cake—I eat it because it just tastes good. 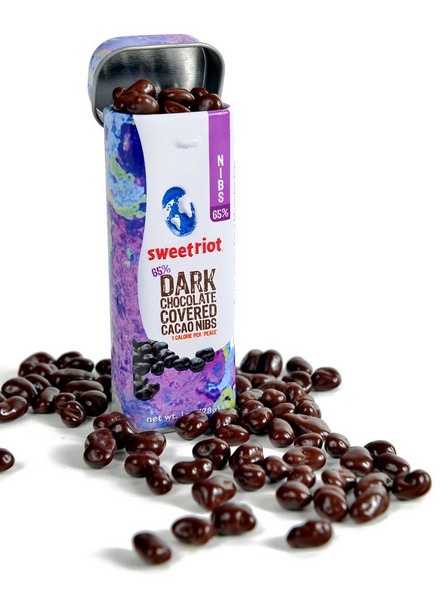 I’ve especially been into these cute travel-friendly tins of dark chocolate-covered cacao nibs. Available in 50%, 65%, and 70% dark chocolate, these nibs will make your mood oh so much nicer in just a few bites. Even better—they are just one calorie per piece and leave you with a cute travel container when you finish the tin.